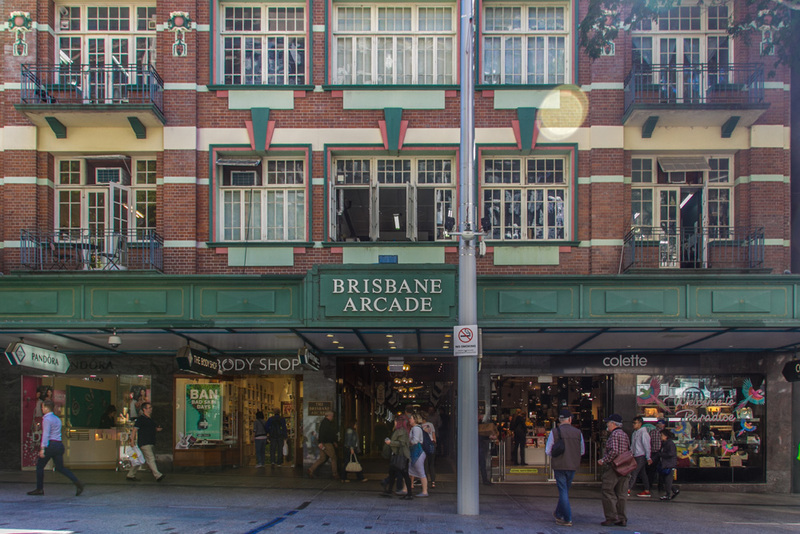 Built in 1924, the Brisbane Arcade is the city's oldest surviving shopping arcade. 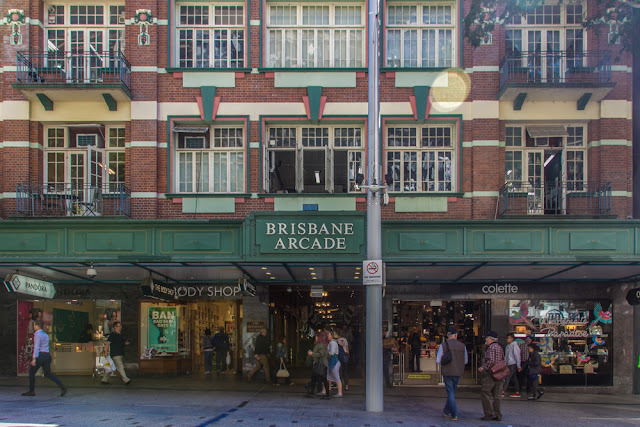 In the 1920's most shopping was done in Fortitude Valley area because there was easy access by tram and train. Philanthropists James Mayne and his sister Mary Amelia built the arcade at a cost of 70,000 pounds. 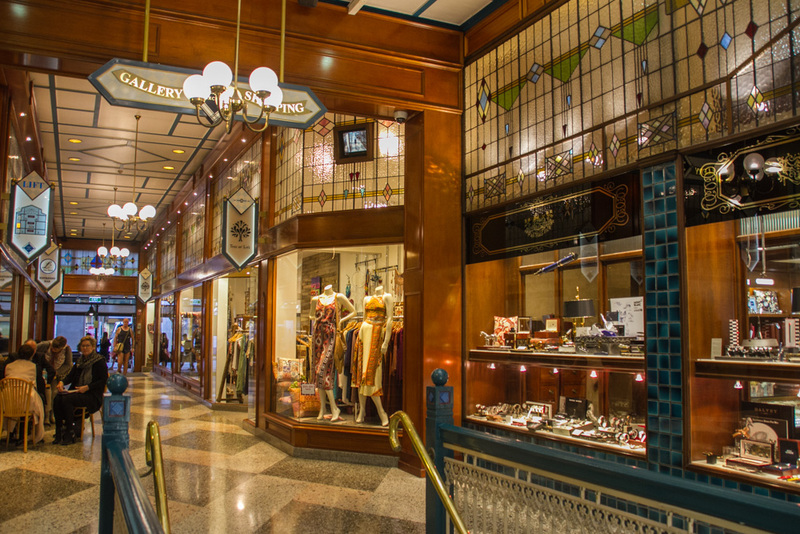 The arcade offered a new shopping experience. Today it still is a popular shopping place with some lovely specialist shops and cafe's. It has three levels. The arcade is in the Queen St Mall, the main shopping precinct in Brisbane. I liked all the different specialty shops. 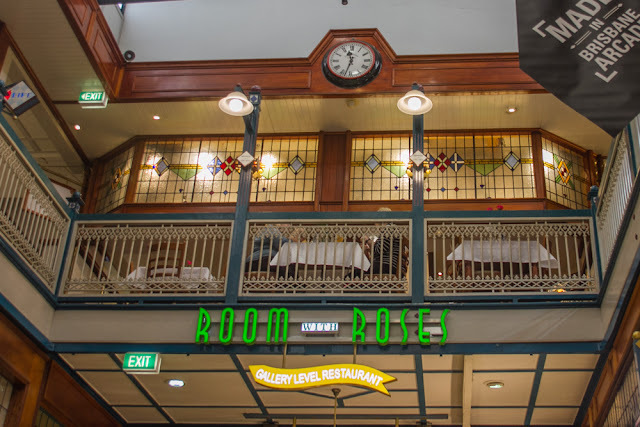 A posh cafe is on the upper level. The ladies were having morning tea. There were coffee shops on all levels. I had to keep steering The Other Half away from them. I loved the lead-light glass. 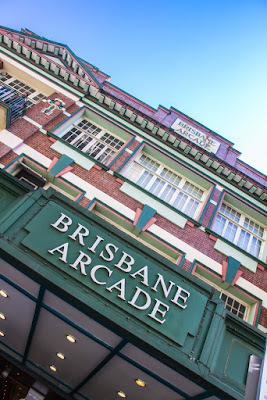 Melbourne, Sydney, Adelaide and I think Perth all have such arcades and I am pleased to hear Brisbane does too. It looks great. Hello, it is a pretty shopping area and building. It is great this old arcade is still in use and is popular. Happy Saturday, enjoy your weekend! It looks as though shopping would be an enjoyable experience there without the usual chain stores. 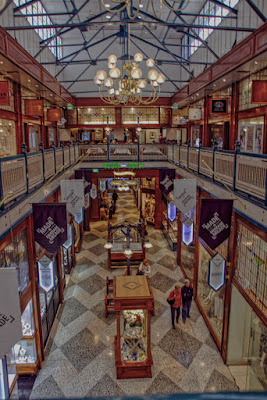 I love the look of the Brisbane Arcade Diane. 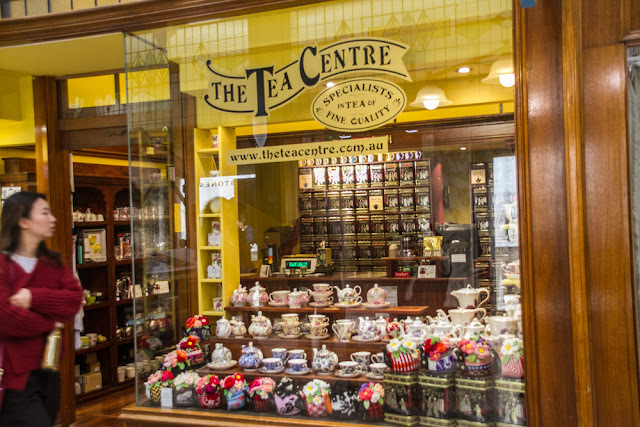 Such wonderful looking shops and I don't particularly like shopping, but I would make an exception here :) I especially loved the look of the window display at the tea centre, and imagined myself having an afternoon tea in the posh shop. Thanks for sharing, a great post as always. Thanks for that, Di. It's as lovely as ever, actually lovelier I think. More light filled than in my memory. The lead light windows are beautiful. Oh, I love places like this! There's so much atmosphere and great finds. Thanks for sharing. It has a lot more atmosphere than a modern mall. Praying for the flooding in Texas and at my son's home now... He's already gone through way too much this month... Prayers for Mark. As many have already commented, Diane, this is such a beautiful place to shop or simply walk around. And, yes, I would also be stopping in the coffee shops and the tea one as well. Gosh. I had to do a double take. It reminded me so much of the one in Sydney. I can't recall one in Perth though. I would also be stopping in the coffee shops and the tea one as well.